Are you a University of Oregon student interested in developing your leadership capacity through community action? 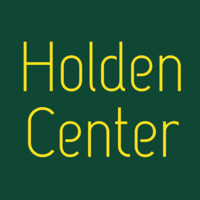 Lead for Change is a leadership development opportunity hosted through the Holden Center’s Days of Service program. As a cohort, students will strengthen their group facilitation skills by leading community action projects during the Days of Service; develop their knowledge about socially responsible leadership through regular cohort learning activities; and build meaningful relationships with the campus and Eugene-Springfield communities.